Australian defence scientists were pioneers in applying laser to terrestrial mapping. They became interested in laser technology in 1961, soon after the discovery of lasers in 1960. By the early 1960s, Australian scientists had begun a program of research into low power lasers for high precision applications and work began on the instrumental use of lasers under the leadership of F.F. Thonemann. Applications arising from this work were used to develop WREMAPS I. Between 1968 and1974, M.F. (Mike) Penny led the team that developed WREMAPS. WREMAPS was commissioned by the Department of National Development to aid its topographical survey of land surface profiles in Australia. The horizontal resolution and accuracy of the microwave terrain profilers in use at the time were poor when compared to a laser profile. In contrast, WREMAPS was mounted in an aircraft and, operating at 2000m above the ground, was able to record accurate ground profiles to less than half a metre. 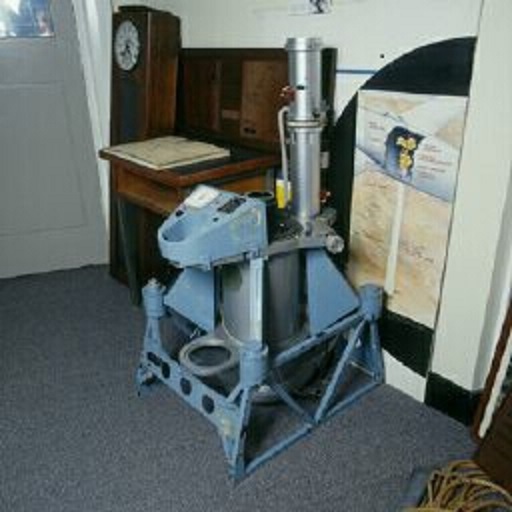 The WREMAPS profiler consisted of a mechanically still structure with a laser transmitter, a receiving telescope and a strip camera to photograph the ground immediately below the aircraft. The receiving telescope looked at the same patch of ground that the transmitter illuminated and collected an extremely small fraction of the laser light scattered from the ground. By measuring the time taken for the light to make the return trip from the transmitter to the ground and back to the receiver, the distance between the aircraft and the ground was measured. In practice, the laser beam is intensity modulated (turned on and off at a high frequency), permitting a phase comparison to be made between the transmitted and received signals. This phase difference is a measure of the terrain height. The strip camera records the precise track of the laser beam across the ground and hence the track is profiled. In the initial design and development phase, an experimental model was constructed and installed into a Dakota aircraft in 1969. Trials continued, most notably those carried out in February 1970 when the Dakota was flown to Lake Eyre, SA. Later in March, the system was taken to Canberra for demonstration. A wooden mock-up of the cabin of a Grand Commander aircraft was constructed so that layout and installation problems could be overcome. WREMAPS was installed in the Grand Commander aircraft that the Department of National Development had chartered in May 1970, and formal acceptance of the system occurred in July 1970. The Department used the profiler for 10 years. In the early 1970s, the technology used in WREMAPS was developed to produce an even more efficient system. Designed and developed for the Department of the Army, WREMAPS-II went into service with the Royal Australian Survey Corps and was able to measure and record ground profiles from aircraft flying at altitudes up to 5000m above ground level. WREMAPS-II operated as an optical radar and generated short duration pulses of green light at a rate of 25 pulses per second. These light pulses were directed vertically downward from the aircraft in a narrow beam. Each pulse was scattered by the terrain, and a small proportion were detected by the optical receiver located in the aircraft. When the transmitted pulse left the aircraft, a 300 MHz counter was started, and when a reflected pulse was received the counter stopped. The number of pulses counted within this period corresponded to the number of half metres between the aircraft and ground. It was necessary to determine the aircraft position with respect to sea level for the profile plot to yield true ground height information. This was achieved by flying the aircraft along an isobaric (constant pressure) surface. Any deviation of the aircraft from this pressure surface was recorded and used to correct ground-height information. If a profile run (typically 120 kilometres) could be made between two points of known height, correction could be made for any slope in the isobaric surface. In 1973, a stand displaying WREMAPS-II was set up at the Paris Air Show, the first time that Australia had participated in such an event. Fairey Australasia Pty Ltd became the licensed manufacturer for the equipment. For WREMAPS I, for excellence of engineering and benefit to the community.